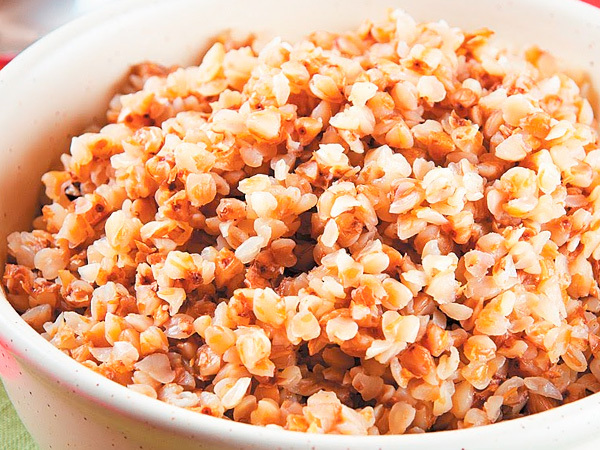 How to prepare tasty buckwheat? Most would find this question strange, because it is believed that this product is hard to mess up or even impossible. But still in some hostesses turns boiled buckwheat, and others crisp and delicious. We will figure out how to properly cook this dish. Measure the desired amount of buckwheat with the help of glass. Note that this amount will increase at least twice during cooking. Since the buckwheat come across different kind of stones and other debris, it must be through. After, place the product in a colander and rinse under running water. In that case, if no strainer, use a regular pan. It is time to prepare the water. In the pan it is necessary to pour such amount that would exceed the amount of buckwheat in two times. Place the pan on the stove and bring to a boil, slightly sunflower. Do not overdo it with salt. Buckwheat pour in water and wait for it to boil again. While cooking remove the foam with a spoon and then put the flame on low, cover the pan with lid and cook until tender. When some of the water boils away, and some will be absorbed into the buckwheat, the trade may be over. Also check the readiness with a spoon. Run it over the bottom of the saucepan if the porridge sticks, then the dish is ready. Buckwheat iterate carefully because sometimes small stones can pose a serious risk to the teeth. Towards the end of cooking, it is important to follow the process to grits in any case not burnt. The food was delicious, can add to mush butter, fresh herbs or fried onions. Please note that this type of cereal does not require a large amount of salt. After cooking, you can for 20 minutes wrap the pot in a towel to the mess was softer.